Moore was first in his West Point class when he graduated in June 1945, narrowly missing the end of World War II. Throughout his career, Moore was to become a “jumpmaster” with over 300 Airborne jumps. He saw combat in Korea in the early 1950s, received the Distinguished Service Cross, and finished as a United States Army lieutenant general. Most notably, perhaps, was Moore’s experience at the Battle of la Drang during the Vietnam War, portrayed by Mel Gibson in the 2002 film We Were Soldiers. 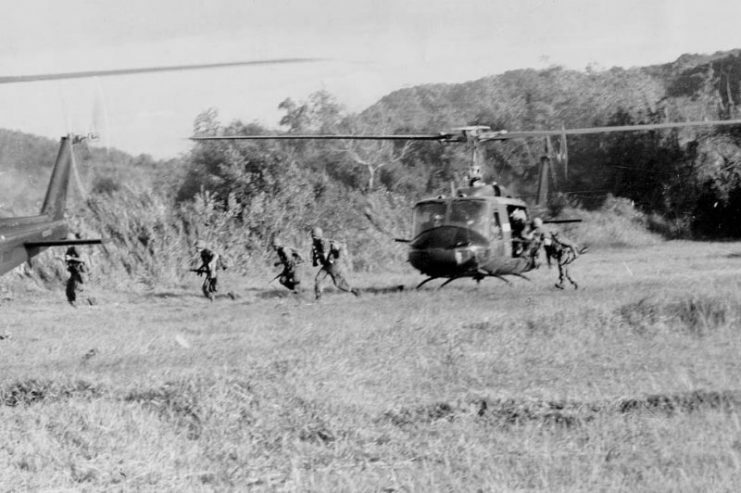 The battle took place from November 14-16, 1965, comprising two engagements dictated by scouted helicopter landing zones (LZs) known as Albany and X-Ray. 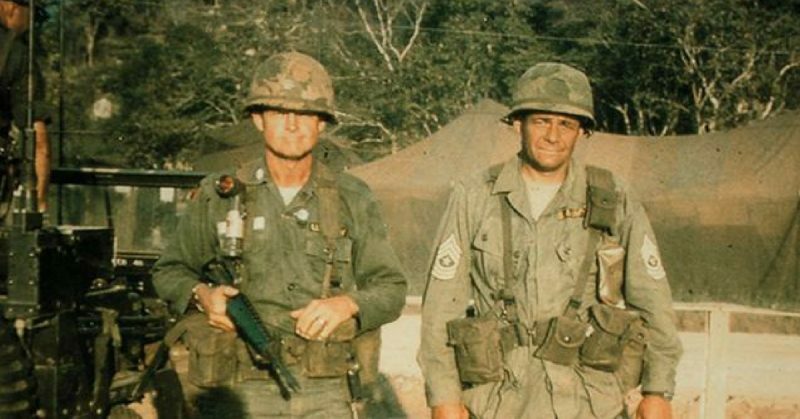 Lieutenant Colonel Hal Moore was the commanding officer of the 1st Battalion, 7th Cavalry Regiment and its supporting units which were designated LZ X-Ray. By 10:48, the first American boots hit the ground, and the men soon found themselves encircled. By the time the last of the troops were dropped into LZ X-Ray at 15:20, a platoon had been cut off and the battalion had already suffered serious casualties. The North Vietnamese launched a number of assaults and did not give Moore and his men enough room to evacuate by helicopter. Reinforcements were needed, and they came first in the form of B Company 2nd Battalion, 7th Cavalry who dug in to help defend LZ X-Ray overnight. The next day saw the arrival of the battalion’s 5th Cavalry Regiment and 7th Cavalry’s A Company whose presence aided the rescue of the lost platoon. On November 16, the North Vietnamese launched one final assault on the LZ and were pushed far enough back to allow extractions to commence. While some units were shuttled by helicopter to relative safety, others had first to march out towards their designated LZs. During the march, 2/7 and 1/5 companies were hit with an ambush. They suffered badly before help could reach them. 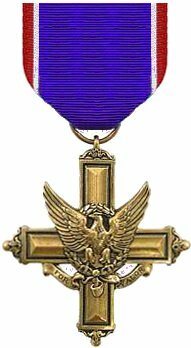 For his heroism and leadership, Moore was awarded the Distinguished Service Cross and later promoted to colonel. It is said that the lieutenant colonel’s belief that “there is always one more thing you can do to increase your odds of success” was the underlying sentiment that carried the men to a proclaimed victory in a conflict that saw an almost 10:1 kill ratio. The men of the 2nd Battalion, 7th Cavalry who landed at LZ Albany were not as successful. 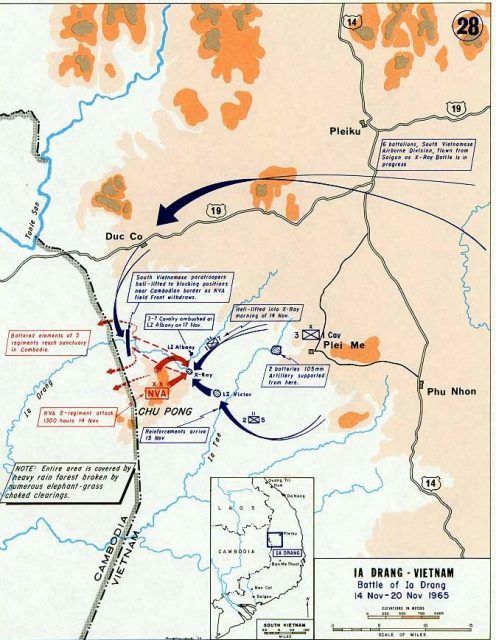 After being encircled more tightly than the men of the 1st Battalion, they were to suffer more than a 50% casualty rate which the North Vietnamese counted as a victory. In his talk at the American Veterans Center, Moore spoke plainly about the difficulties faced during the battle, coming face-to-face with the “scared” enemy, and the logistical problems the Vietnam War effort encountered in the later years. It’s a technical insight into the mechanics and politics of a war that had fallen heavily out of favor with the American public. 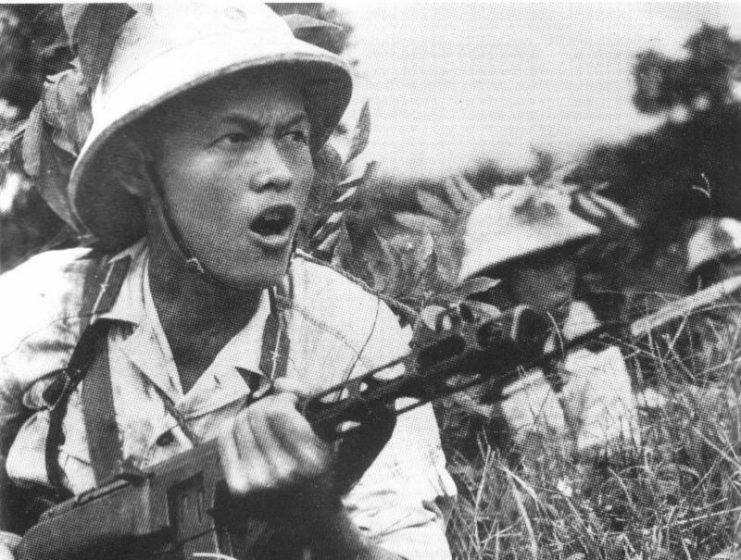 In its attempt to reconcile the wishes of the majority back home, the U.S. government sought to stop experienced men from reaching the front lines. 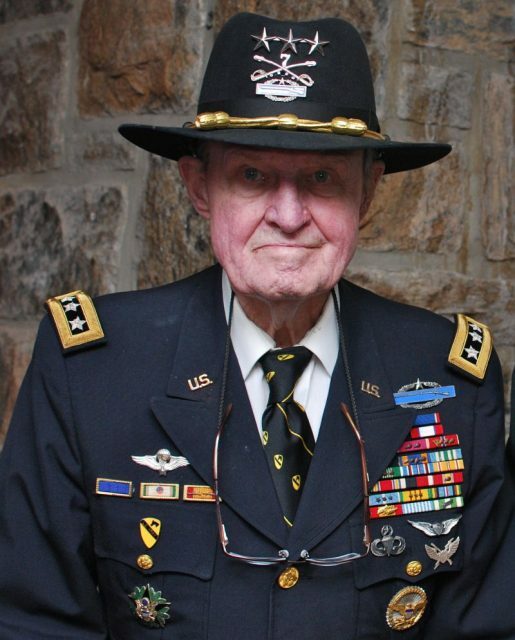 Retired Army Lt. Gen. Harold “Hal” Moore Jr. It was an action that likely pleased most of these trained soldiers, although clearly frustrated those like Hal Moore, who were in command of units out in the field and were left to fill the hole created by the lack of experienced men. There is also something personal about the way he tells this story. They were “his” men that he himself had trained. His words convey a sense of betrayal and a lack of understanding made by his superiors, as well as the pride he took in the training of his men. Videos and conferences like this are fundamental to our understanding not only of veterans’ personal experiences but also of a side to war that extends further than numbers and statistics. 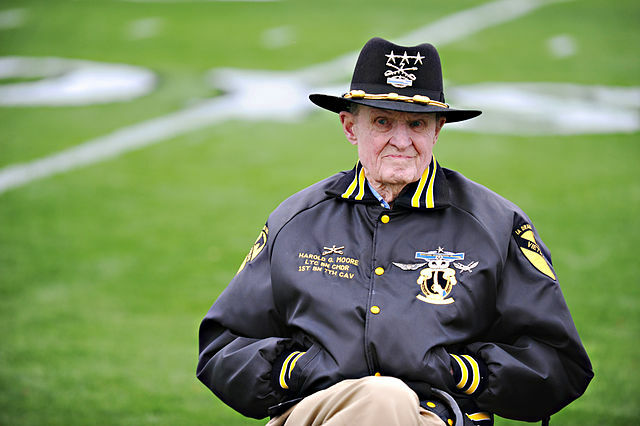 Hal Moore died in February 2017, living to the age of 94.